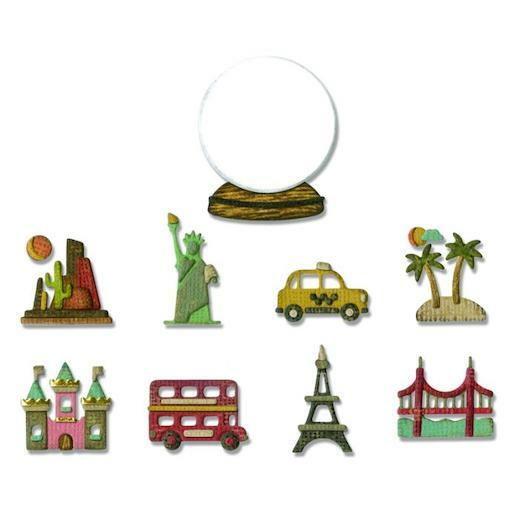 Take a trip around the globe with the Tiny Travel Globe Thinlits™ Die Set by Tim Holtz®. Recreate landmark destinations in miniature, with incredible detail that will amaze you. Each scene is designed to fit in the 1½" Dimensional Domes, for making easy 3-D shaker features on cards, tags and more. 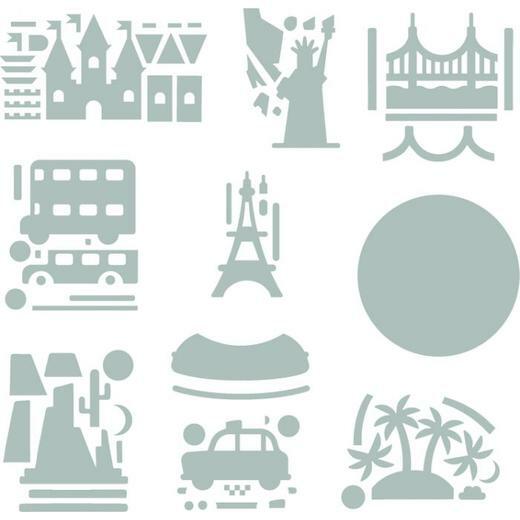 Or use these designs to embellish travel journals, bon voyage cards, scrapbooks and photo albums. Small shaker domes to coordinate with this set of dies are available separately - Sizzix Dimensional Shaker Domes By Tim Holtz 12pcs - Clear Ø 1.25" 663559.